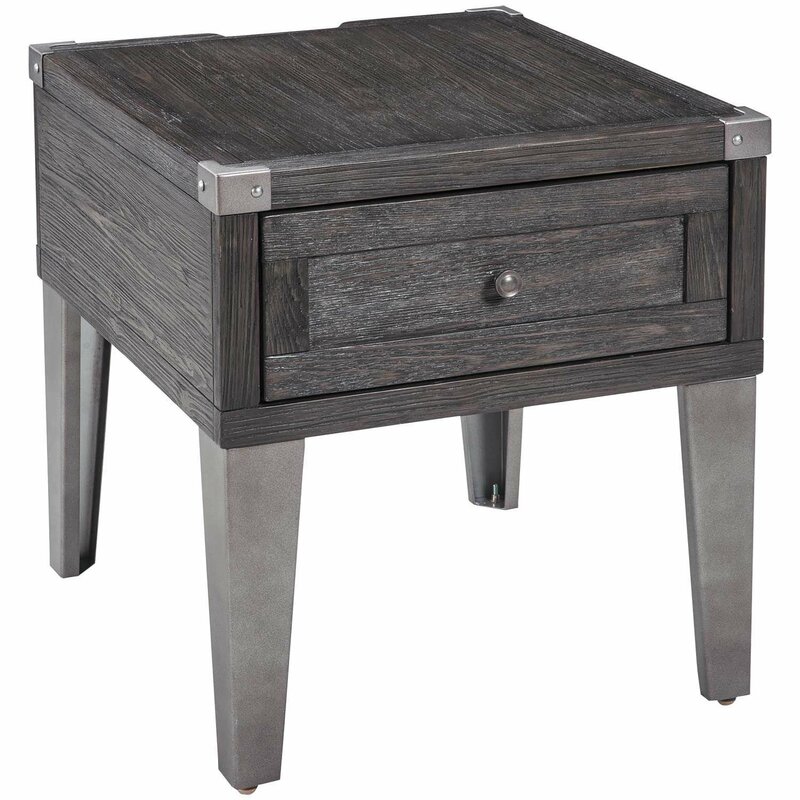 Embrace the sophisticated beauty of rustic-industrial style with the Todoe Rectangular End Table by Ashley Furniture. 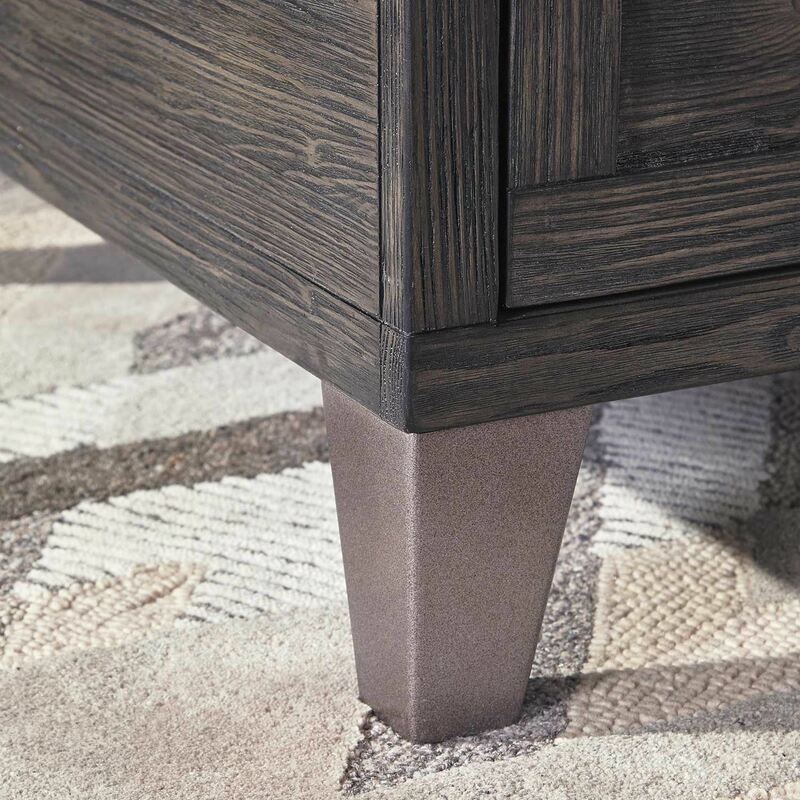 This mixed material table features weather-washed pine wood and veneers contrasted by canted metal legs and metal corner bracket accents for a contemporary chic look. 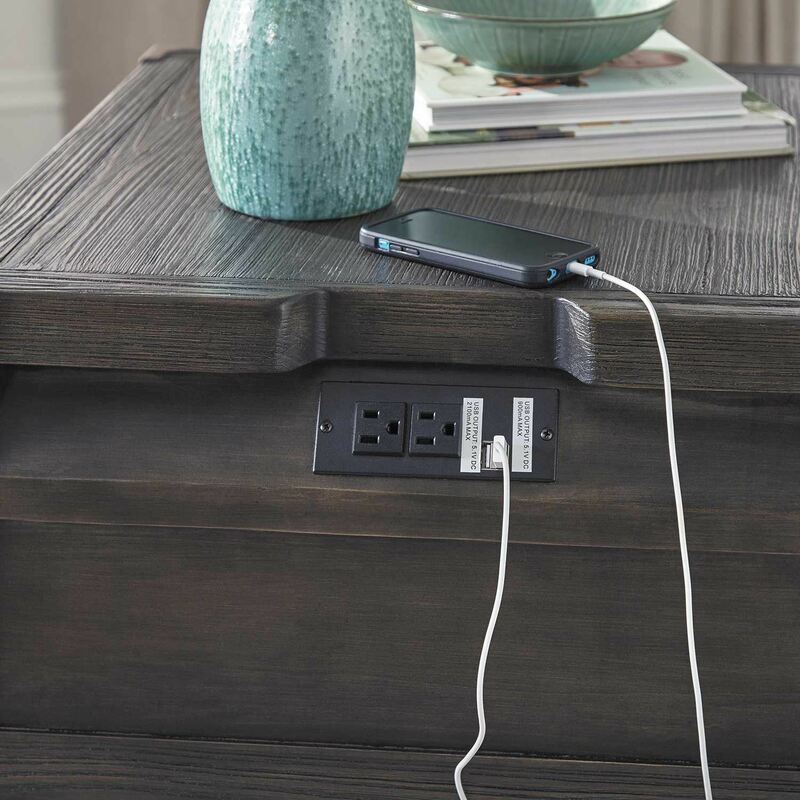 Two USB charging ports on the back of the table provide a convenient spot to charge your devices. 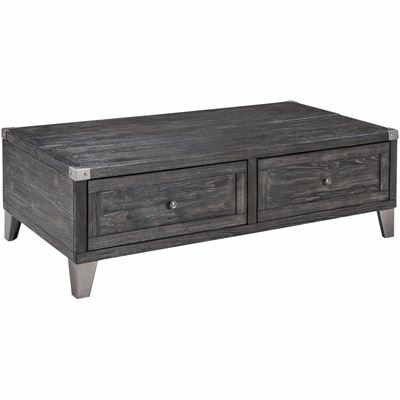 Embrace the sophisticated beauty of rustic-industrial style with the Todoe Rectangular End Table by Ashley Furniture. 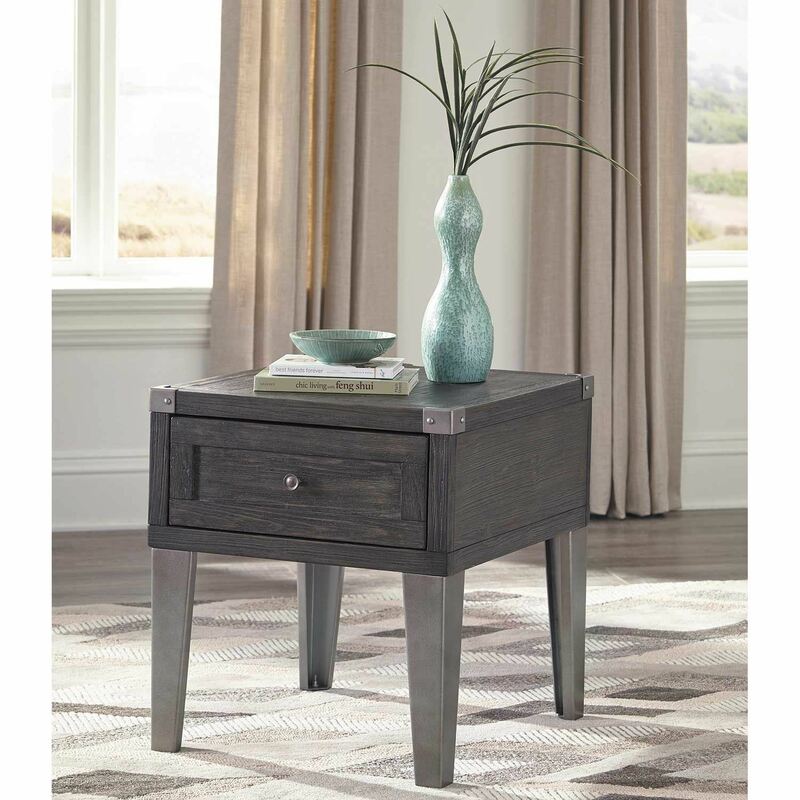 Todoe Rectangular End Table by Ashley Furniture. 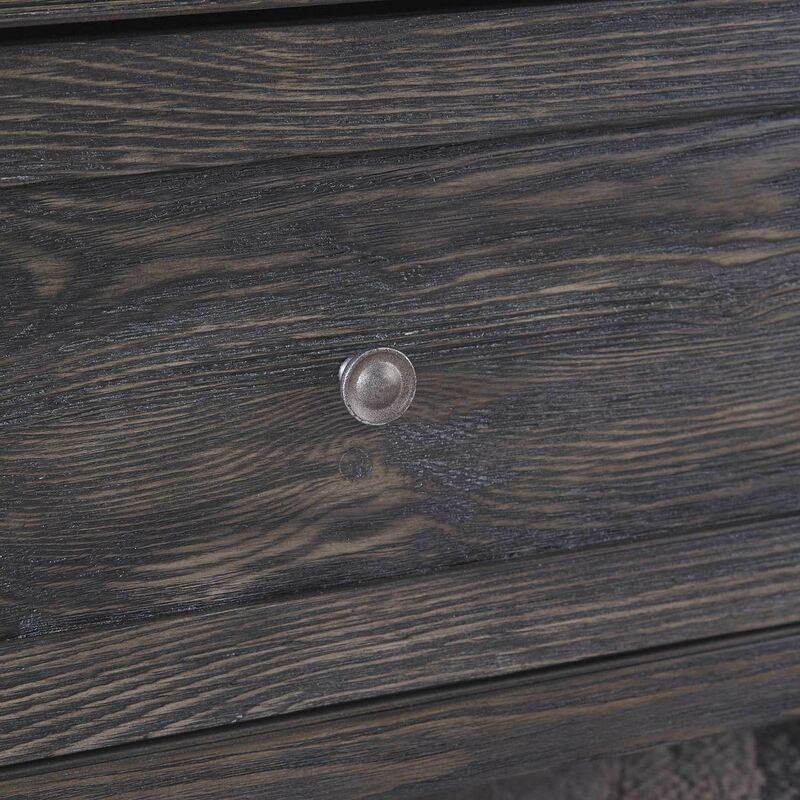 Constructed of pine solids and veneers. 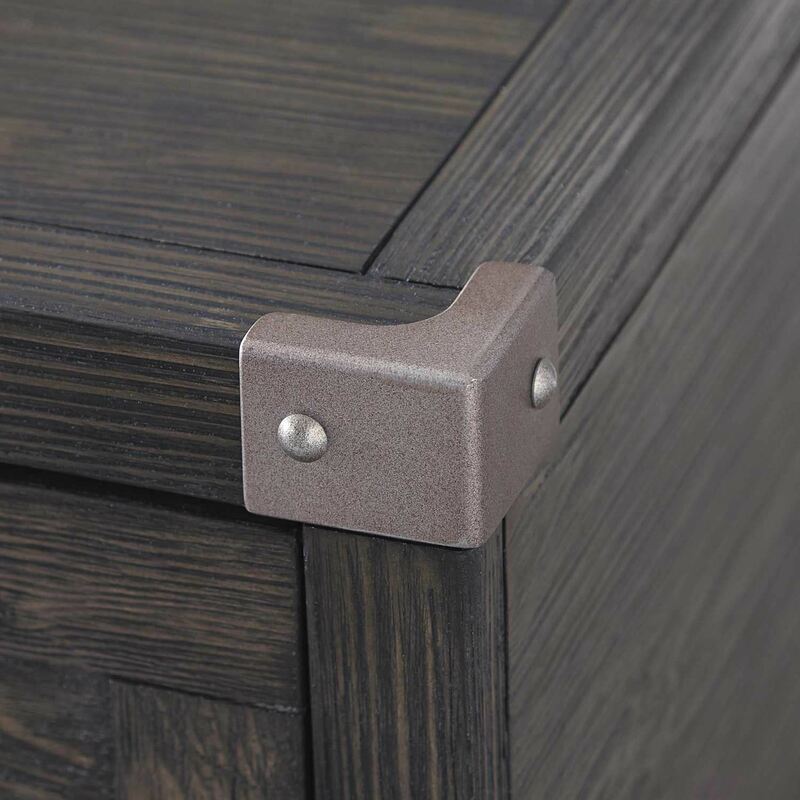 Dark grayish-brown finish, canted metal legs, corner brackets. 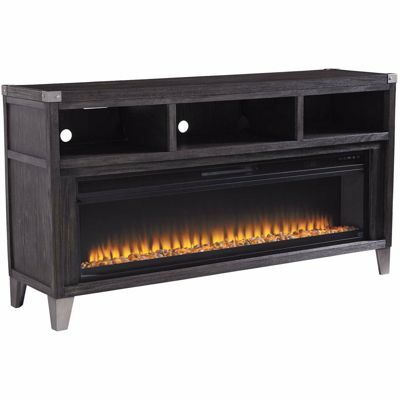 Drawer storage and rear-mounted AC power supply with 2 USB charging ports.